Indiana State University today announced a plan to implement state-mandated budget cuts without increasing tuition. The plan also ensures that students will be able to enroll in the courses they need and graduate on time, university President Dan Bradley said. "From the beginning of this process, the overarching goal has been to protect our ability to meet our mission," Bradley said. "The university's strategic plan, The Pathway to Success, has guided these efforts. Our top priority continues to be helping students succeed in meeting their educational goals." Facing a $10.4 million budget reduction for the period ending June 30, 2011, the plan eliminates more than 100 staff positions campus-wide with no permanent reduction in the number of tenure and tenure-track faculty. 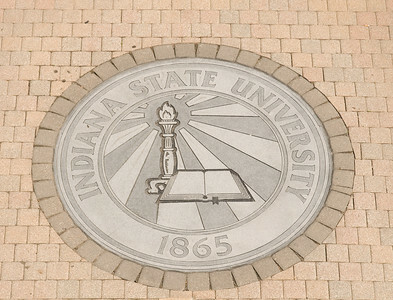 Indiana State currently has approximately 1,400 full-time equivalent employees. Faculty, staff and Student Government Association leaders, together with the university's four vice-presidents, helped develop the plan. In his e-mail, Bradley invited additional feedback prior to presenting the plan to the university's Board of Trustees on Feb. 18. In response to previous budget issues, the university made significant reductions in budgets for supplies and expenses. The new plan focuses primarily on personnel-related expenses, which comprise approximately 82 percent of discretionary spending, and will result in the elimination of an estimated 108 positions - about 78 hourly positions and 30 salaried. Of the positions being eliminated, 19 are vacant. The plan provides severance packages for affected employees. A separate early retirement plan, coupled with a hiring freeze for certain pay grades announced earlier this month, may allow some displaced workers to be considered for positions that become vacant. Vice presidents and deans have worked to ensure that employees directly impacted by the plan have been notified. "It is never easy for an individual or an organization to go through this type of budget issue and my heart goes out to those individuals who have been impacted," Bradley said. "I hope the benefits we have been able to extend will help ease some of the burden of these decisions." The severance package provides six months of continued health insurance benefits for displaced workers, a minimum of one-month's notice and eight weeks of severance pay, or a total of 12 weeks' severance pay if the position is eliminated without notice. An additional week of severance pay will be provided for each year of service beyond one year, up to a total maximum severance of 16 weeks. Faculty and staff currently taking classes at Indiana State will receive a continuation of fee waivers for up to four semesters while employees' dependents currently enrolled at the university or accepted for admission prior to the employees' departure will be granted dependent waivers for up to 10 semesters. The early retirement plan will provide a lump sum payment of up to 125 percent of base salary for eligible employees 55 or older with nine or more years of consecutive service to the university who retire by June 30. Eligible employees who retire by June 30, 2011 will be eligible for payments of 100 percent or 115 percent of base salary, depending on retirement dates. While students, faculty and staff will see changes as a result of the budget reductions, those changes will come in areas outside the university's core mission, Bradley said. Major components of the plan include the use of a third party vendor to provide student health services; reductions in in-house communications and marketing services, custodial services and clerical support; and limited additional reductions in supplies and expenses in information technology, library services and facilities management. The university will also eliminate retail operations at the postal contract unit in the former Federal Building, effective July 1. The university is working with the Postal Service in an effort to maintain post office boxes in the downtown facility. The plan also proposes returning Erickson Hall, now used for classrooms and offices, to student housing and investigating energy savings through targeted capital projects. "The fiscal realities we are facing will require all of us to remain focused on the strategic directions of the institution with specific attention to helping our students succeed, something we all can and do impact," Bradley said. "With the plan, the university will enter the coming fiscal year with a balanced budget. I remain confident that Indiana State will meet this challenge and will continue to do a great job in fulfilling its mission." ISU has announced a plan to implement $10.4 million in state-mandated budget cuts without increasing tuition. The plan also ensures that students will be able to enroll in the courses they need and graduate on time.